Owen, Oliver and I are on a school trip at the Mount Norikura Ski Resort. The trip is being led by NorthStar Alpine Lodge, an English-speaking adventure company. It is one of the perks of international school teaching to be able to chaperone trips to exciting places. It is a lot of after-hours work, but so enjoyable to spend time with the students. It was a glorious day of heavy snow! It felt so refreshing and different to be out in the snow the entire day. It snowed from about 10:00 until the end of the day. 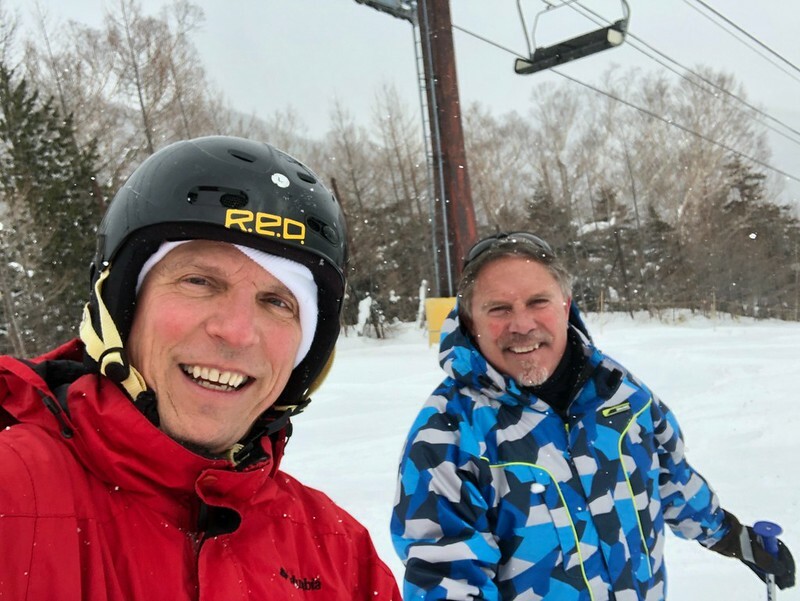 For awhile, visibility was cut down significantly and riding on the chair lifts in driving snow was a bit cold. However, it did let up in the late afternoon and with so much powder (“pow” in Swiss ski slang – thanks Kelly!) it was a different type of skiing. It took me awhile to get comfortable, but by the end of the day, I was a powderhound! Owen is learning how to snowboard with the NorthStar instructors. Because of his base of skiing, he is picking it up quickly and should be pretty good by the time we leave Friday afternoon. Oliver is with his fellow 7th graders and they are not skiing but practicing winter sports. Today they built an igloo and had snowball fights. He is enjoying time with his friends. There is hardly anyone on the slopes. I estimated maybe 300 people and there are quite a few runs. Absolutely no wait time in lines – a perfect day for me! 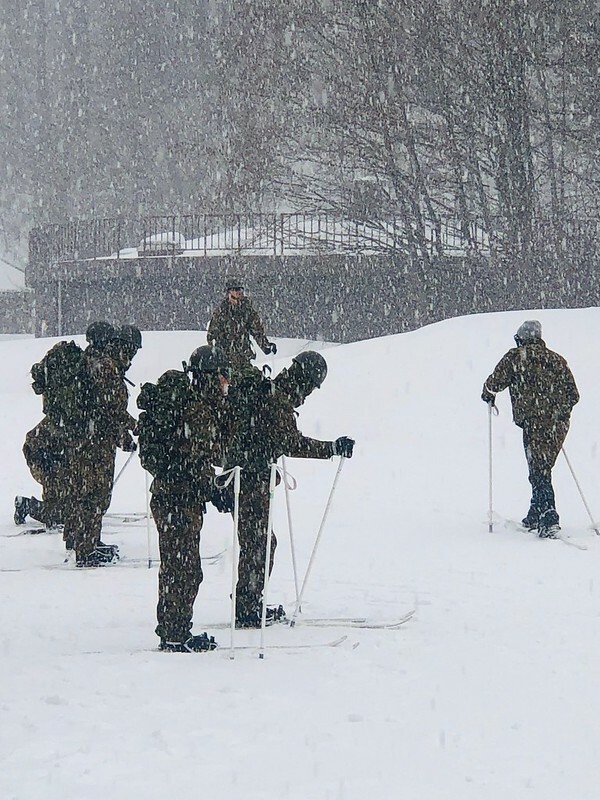 It was interesting to watch a brigade of Japanese Self Defense forces training on telemark skiing. They had their helmets and backpacks and military camouflage. I don’t know what they were ski-training. A possible North Korean invasion? 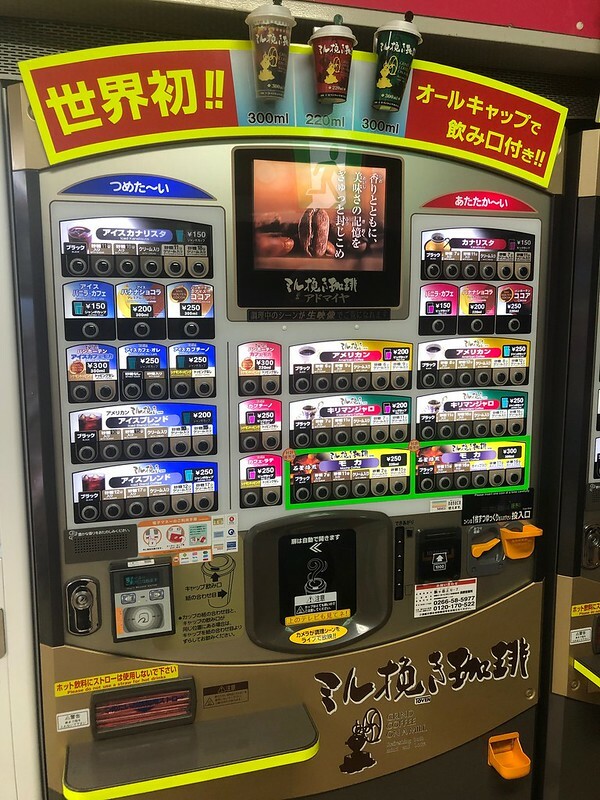 A final note – Japan has the most advanced vending machines in the world. This coffee machine at a roadside stop has a selection of 78 different coffee and hot/cold drinks one can choose from. This is just one machine in a row of 20. One of the best events our school holds annually is the All School Production. This is a gigantic musical that involves students from grades 3-12 from both of our schools. 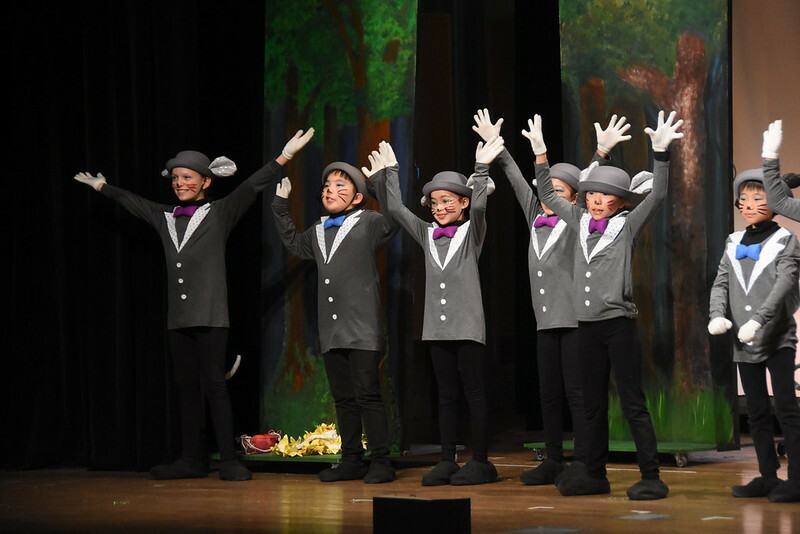 This year they performed Shrek: The Musical. Ocean played a “rat” dancer. She loves to sing and dance and I love watching her perform. She is a natural for the stage. 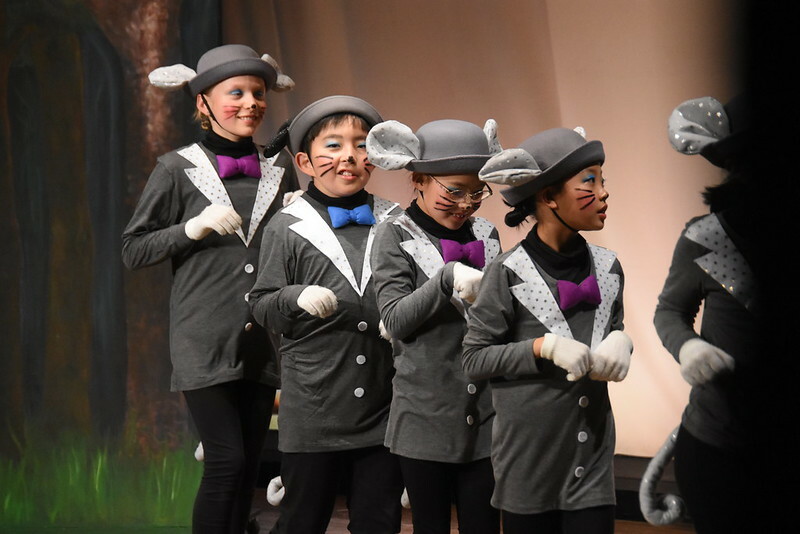 The school goes all out for the performance and features a live pit orchestra, Japanese subtitles, elaborate sets, intricate costumes and sound and light crews. It is the most professional theatre performance I have seen on the high school level. Nadia and I and the kids went to the final performance on Saturday night. 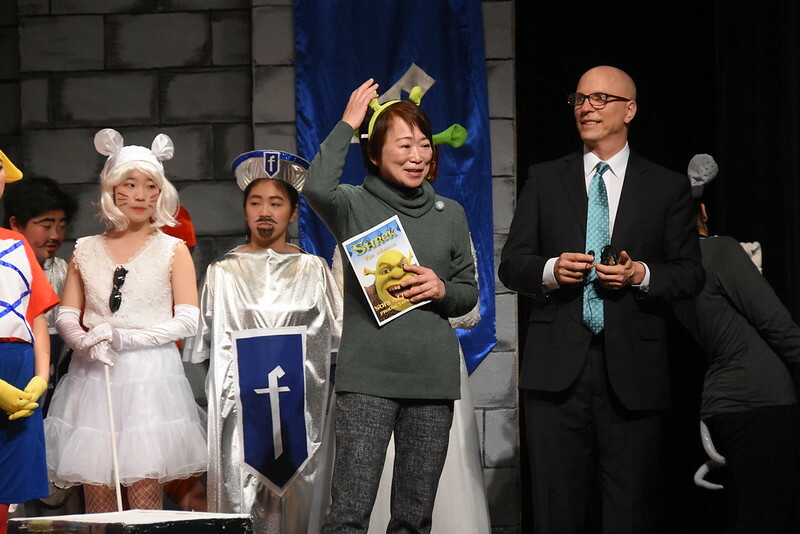 Along with the head of the Senri International School, I thanked the community and gave a few remarks at the end of the performance. They put on four sold-out shows with two casts. We will certainly miss the All School Production. 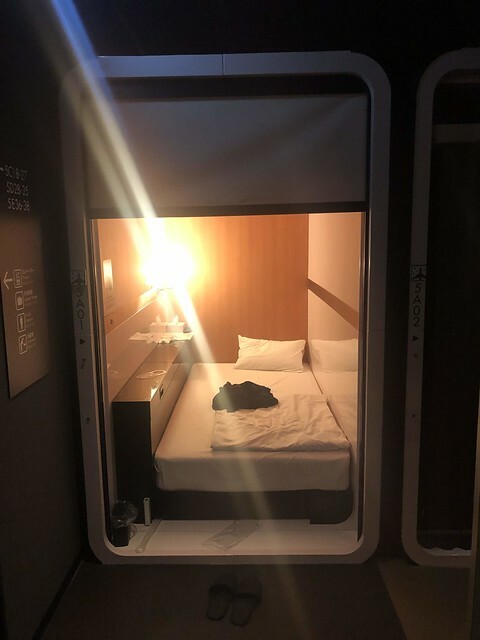 I tried my first capsule hotel last week. I was hosting a meeting at the Tokyo offices of our university. I booked a “capsule” at First Cabin Kyobashi in the central business district. First Cabin is a chain of these hotels. 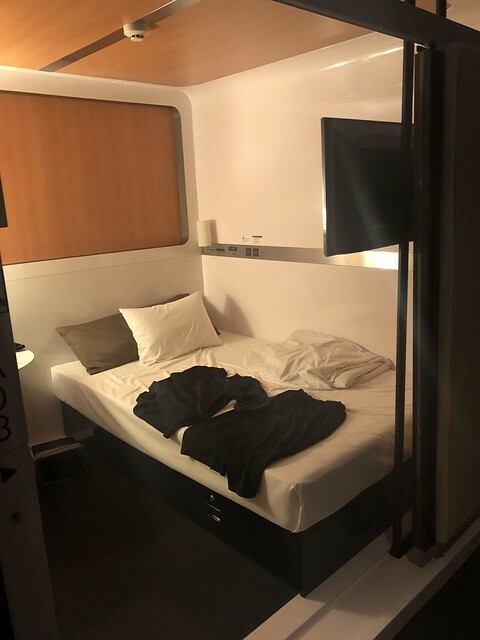 I think capsule hotels are designed for business people who need inexpensive accommodation, especially after a night of dining and drinking with clients and colleagues. Men and women are separated immediately after check-in. In this First Cabin, the lobby is on the second floor and men can rent “pods” on floors 3, 4 or 5. Women can have rooms on floors 6 and 7. There is a “public” (shared) bath for men on floor 8 and women on floor 9. The bath is similar to any sento in Japan. The lobby had some nice lounge and work areas and the entire hotel was new and tastefully decorated. The bad part of the stay were the rooms. They are basically pods with a sliding curtain that does not reach to the ceiling or floor. I could hear men snoring down the hallway, guys coming in later than me, and one guy left his alarm on a 5:30 for about 15 minutes. I did not get a great night’s sleep. I ordered the “premium” cabin that had a bit of leg room. The regular cabins had only a bed and a small floor space just behind the curtain. The pajamas (yukata) provided were comfortable. I can see how this would be such a foreign experience for people not used to Japan. The ideas of sharing a bathroom with other guests, wearing hotel-issued pajamas, being separated by gender, etc. are all kind of weird for foreigners. Only in Japan! I am glad I experienced one, but I would not stay at another one, especially at my age. I did not get a restful night’s sleep. The hot bath in the morning almost made up for it however, and it is much better than the plastic, pre-fabricated bathrooms that come with most standard Japanese business hotels. The hotel was conveniently located and it is such a thrill for me to be able to work in downtown Tokyo, the largest metropolitan area in the world! The university offices are in Sapia Tower, which is just a few steps away from Tokyo Station. From the 10th floor, you can watch the coming and going of trains and people. The skyscrapers and busy streets make it all the more glamorous, for me, who grew up in a village of less than 1,000 people in the north woods of Michigan. I will be hosting a couple of other meetings in May and am looking forward to my final trip to Tokyo. Owen is finishing the Middle Years Programme of the International Baccalaureate this year. All grade 10 students need to do a Personal Project (PP). The project is something students are passionate about and they should put in about 40 hours of work over the school year. Owen is passionate about cooking. He watched a lot of cooking competition shows. Nadia is also really good in the kitchen and I think these two things inspired him to enjoy cooking. I give his meals a hearty 5-stars and it is nice to have two gourmet chefs in the Kralovec house. Owen’s project was to build a website with simple recipes teenagers can do. I read Dani Shapiro’s latest book about her discovery that her father was not her biological father. Through the Ancestry.com DNA testing, she found out that she was not 100% Ashkenazi Jew as she thought. Her father turned out to be a sperm donor. She tells the story of how she found her biological father and why her parents kept it a secret. This book appealed to me because I am adopted and am looking into my DNA ancestry recently. I can relate to much of what she goes through, although my story differs significantly. My adopted parents always told me I was adopted. My biological father was not a sperm donor in an institutional setting. Like Shapiro, I made contact with a biological parent and like her, I see the affects of heredity versus the setting and manner of my childhood. Discovering my half of my biological family was similar. It helped me understand why I was different in temperament than the rest of my family. I am an extrovert, quick to laugh, and abhor routines, while they were quiet and loved routines. It was quite a shock to the author. Many of her books are memoirs and focus on her growing up and I think she found out why. She is blond and looks “WASPY” while being raised in a Jewish family. Her mother sounded mentally ill and the experience had a big impact on her. At least from what I can perceive, I am not as traumatized from the experience as her. As Shapiro experienced, finding your biological family later in life is such a good experience. It has helped me learn my complete story. I feel sorry for children of anonymous sperm donors who may never find their father. Although, with advances in genetic testing, that will be changing. As more people get tested, the database will eventually match donors with their offspring. Most donors didn’t think the technology would be able to do this so quickly. The story also made me think about shame. Shapiro’s parents were ashamed that they were not able to have children and had to resort to a shady or unorthodox clinic to conceive. Eventually, the truth was discovered by their daughter. It would be easy for her to judge them, especially looking back at the past from the world of today. However, I felt in her book, she tries to understand them. We are all human and make mistakes. I’ve made my share of them and Shapiro probably has too. I like how she is going forward with her relationship with her biological father and his family. It also must be embarrassing for him to be discovered by an child from a sperm donor clinic. He handles it with dignity and focuses on the most important thing, the relationship he can have with a daughter. It was an uplifting book and gave me perspective on my own life. I was an early participant in the 23 & Me genetic testing database. A big reason for me doing it was because I was adopted and I wanted to know my ethnic ancestry. Recently, the company improved their ancestry section, giving users more precise regions of where their DNA originated from. Previously, I knew I was 100% European from the early ancestry reports from 23 & Me. There were percentages of broad areas, like Eastern Europe, Northern Europe, but no countries. As genetic testing has grown more popular, they now have over 5 million people in their database. Using algorithms with customers in the database that know their origins, they match users to specific places. I think they will get even more accurate as the science improves. I would also guess that their European DNA database is larger than other parts of the world because white Americans are probably a big percentage of their users. The ancestry report most “highly likely” match was Poland. They even get down to the state level. The two voivodeships (states) in Poland surround Krakow (Lesser Poland Voivodeship) and the border with Ukraine (Podkarpakie Voivodeship) were the strongest matches for me in Poland. We spent New Year holiday in Krakow in 2014, but at the time I didn’t know I had ancestors from there. I was surprised to learn that my DNA “likely” matched in three oblasts (states) in Russia. One outside of Moscow, another in the southwest of Russia near the city formerly called Stalingrad, now Volgograd, and Samara Oblast, on the border with Kazhakstan. I am guessing it may be from my father’s side of the family. The other two “likely matches” were the western Ukraine oblast of Lviv and the Kosice region of Slovakia. My biological mother’s family still makes pierogi and celebrates their Slovakian heritage. There were many Slavic immigrants to the Appalachian mountains in Eastern Pennsylvania where my biological parents are from. Besides the big 80% Eastern European part, 11% was Spanish/Portuguese and 9% Austrian. My wife Nadia also did 23 & Me and it zeroed in on Santa Cruz, Bolivia. We both sent samples into the rival company, Ancestry.com and so I will be curious to see if it matches with the 23 & Me findings.